Would you like to achieve excellent and predictable outcomes for your patients? Many doctors are accredited to use various aligner systems do either do not have the time or the support to work up their cases using the different softwares for Invisalign, Clear Correct, Insignia, Indirect set up, etc. These services are meant to make your life easier and give you that confidence to treat your patients to a great smile predictably, with a specialist orthodontist mentoring, opinion and experience. Best used for beginners of clear aligners therapy , Insignia users or for advanced users in complex situations. Not suitable for direct bonded fixed appliances. Dr. Katyal will spend one-on-one time and share her tips, experience, and know-how to help raise your level of knowledge and patient outcomes. She will also help with case selection prior to starting a case. Access to your Invisalign / Clear Correct Doctor Site. Whats included in Level 2 services? Email access to Dr Katyal for all case-related questions from attachments to IPR, clinical techniques to tips. No question is silly. This does not include refinements or future access for the case. Refinements/progress coaching can be accessed via Level 1 service after the case has started with Level 2 service. You have full control of the all approval and set-up. Dr Katyal will simply set up the case based on recent advances in clear aligner evidence and mechanics and her own clinical experience as a Specialist Orthodontist with a 95% aligner treatment workload. Please allow about 2 weeks for a full case set up. Simpler cases may not require the full 2 weeks. Fess are structured irrespective of complexity of cases. There are no ongoing contracts or hidden fees.You will have access to Dr Katyal’s notes to the technician, and additional clinical pearls as a document included at the this level. Read all information on Coaching page, including disclaimers and watch the coaching video. Create staff user access for BOSS to Invisalign portal as per coaching step by step guide. Choose Level 1 or 2 and submit online order. Receive acknowledgement from us within 2 business days. Expect coaching completion within 7-14 business days from date of complete record submission. Please note there may be a delay of up to 21 business days. We will keep you informed if there will be a delay with as much notice as possible. 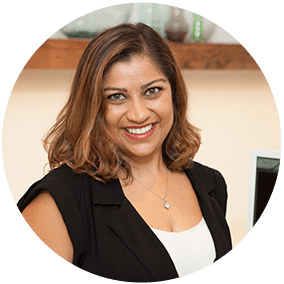 Dr Vandana Katyal is an Australian certified Specialist Orthodontist based in North Shore (Sydney) suburb of Mosman and Sydney CBD. She is highly experienced in delivering the latest, most efficient and most comfortable invisible orthodontic treatments. She is also Head Lecturer for Best Orthodontic Seminars & Session. You, as the treating dentist are responsible for the final diagnosis, treatment plan and clinical treatment. Hence you have the final say before any appliance approval. Best Orthodontic Seminars and Sessions will keep all your patient details confidential and will not release such material in any public forum or area, unless permission has been granted by you or it is deidentified information. Your doctor login details for various orthodontic treatment planning portals will only be accessed when required and will be securely stored for use during the term of our services. These details can be destroyed in our system upon request and will not be released to any third parties. The information collected by Best Orthodontic Seminars & Sessions during our consulting and coaching services may be used to improve our services and released as de-identified data for future research/publications. Please allow up to 2 weeks to complete a digital set-up and provide all relevant information such as patients age, concerns and expectations. Please also provide your diagnosis and treatment plan, including any elastic wear or attachment preferences. Once all patient photographs and radiographs are uploaded to your doctor portal, please create the initial digital set up as per your preferences. Email info@breakthroughwithboss.com with your patient details and request and provide all details as per above. BEST TO EMBED ALL IN A POWERPOINT OR KEYNOTE PRESENTATION. Dropbox links can be shared to info@breakthroughwithboss.com. All coaching services are one time use only and do not include further monitoring or access, unless you are an annual BOSS member and offered complimentary coaching as per your enrolment. Single and Multi cases purchases for Level 1 and Level 2 are non refundable, and without an expiry date. They are non transferable at practitioner level but can be used by a group practice for employed providers within the practice. This service can be used for fixed appliances and mixed dentition treatments as well. You will receive a written report and suggested treatment options including some information on any mechanics and clinical tips that may be required. Further information on Level 1 and Level 2 services and the process can be found on our website.